Even with the latest version of Windows 7 and VirtualBox 3.0 available, there is no sound drivers for the emulated sound card bundled, unlike Windows XP. To enable sound in Windows 7 under VirtualBox it is needed to install the drivers for the sound card. 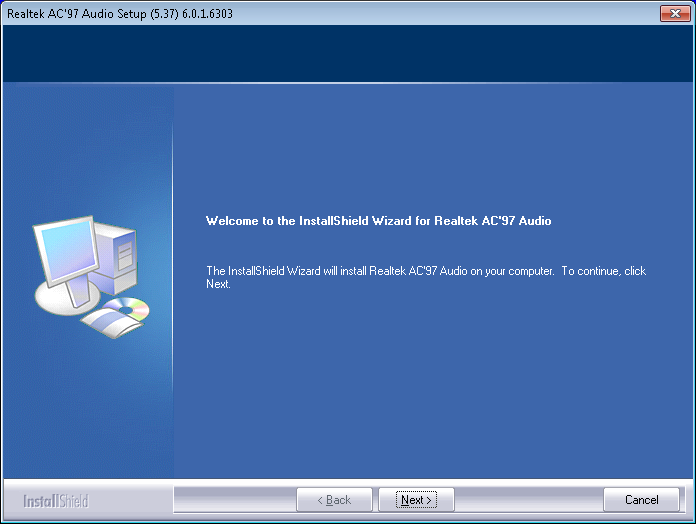 Navigate to Realtek’s website and download the first item (Vista/Win7 (32/64 bits) Driver only (ZIP file)). Unzip the package into a temporary directory. Run setup.exe in the temporary directory. After it displays “Begin to install/update AC’97 drives”, several popup windows by Windows will appear complaining about the verifier of the driver. 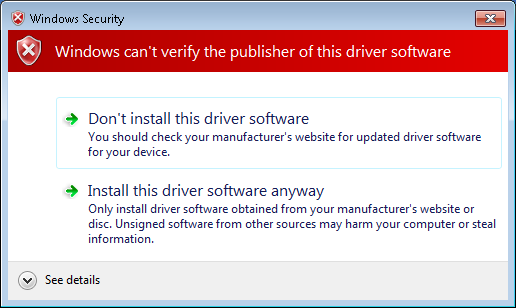 Click “Install this device driver software anyway”. After a while Setup will, complete. Restart if you want. I am installing the driver now, and am wondering just how many times this can’t verify the publisher error message is going to pop up. It’s happened about 20 times so far. Is this normal? Yes, it is mentioned in the post that this can occur several times and therefor normal. But after clicking through the dialogs and restarting the sound should work fine, provided that you have selected the AC’97 card in the VirtualBox VM settings. Thank you so much for this. Very clear instructions and worked perfectly for my Windows 7 guest inside my Jaunty host. It worked perfectly for me too! I just install Win7 in Ubuntu 9.10 with vbox. this driver work fine. Works great with VirtualBox 3.0.10 (Debian Squeeze). Works fine! But I needed to select “OSS-Audio-Driver” as Host-Driver under Ubuntu 9.10. Otherwise the sound was messy. This worked wonderfully! I am thrilled with the quickness and ease I was able to find this solution with a google search! Thank you so much! Wow!!! After hours of searching it finally works! Thanks!!! I have made a macro that click the button while I type right now and it is working like a charm. You need to install it both on the host and on the guest. Fantastic. Thanks ever so much. Thanks so much…after searching the whole web…finally got one and its working…thanks a lot…..
On VirtualBox; if your audio device isn’t working; just do a windows update! With Ubuntu 10.04 as host and Windows 7 Ultimate as guest, I also did a windows update and the audio device was working properly. I’ve installed this driver on Windows 7 64-bit running in VB3.2.8 (hosted by Ubuntu 10.04 64-bit). The sound is quite flaky though?! Sound drips out intermittently (every 1-2 seconds). Excellent; I searched for days to find a solution to this problem; finally I found this link. I installed the drivers on a windows 7 system running as a guest on a Suse 11.3 Linux host. Install was completely smooth and the sound worked immediately. This worked like a charm, for my host Ubuntu 10.10 and guest Windows 7 Ultimate. Worked verry well on Ubuntu 12.04 64bit and guest Win7 - Thanks!